For a limited time, Cicis embraces a New York-theme in adding two New York-style pizzas as well as a New York-inspired dessert, the Cheesecake Brownie Swirl, to their all-you-can-eat buffet. 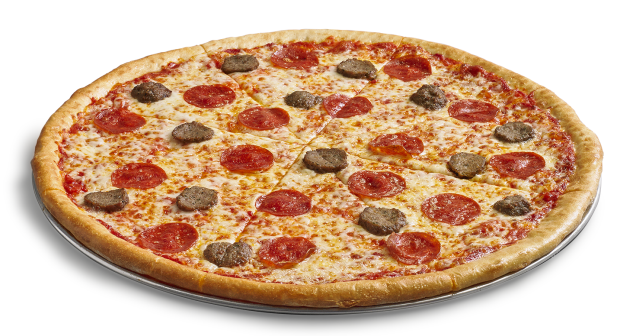 Both pizza features a larger 16-inch foldable crust and come in Meatball Pepperoni or classic Cheese varieties. The new crust is thin and crispy and is joined by a new slightly sweet red sauce. The Cheesecake Brownie Swirl features cheesecake swirled into a chocolaty fudge brownie. Besides being available as part of the buffet, you can also get the pizzas and brownie a la carte for take out. The take out prices are $8.99 for a Meatball Pepperoni pizza, $7.99 for the classic Cheese pizza, and $5.99 for an order of 24 brownies (may vary). 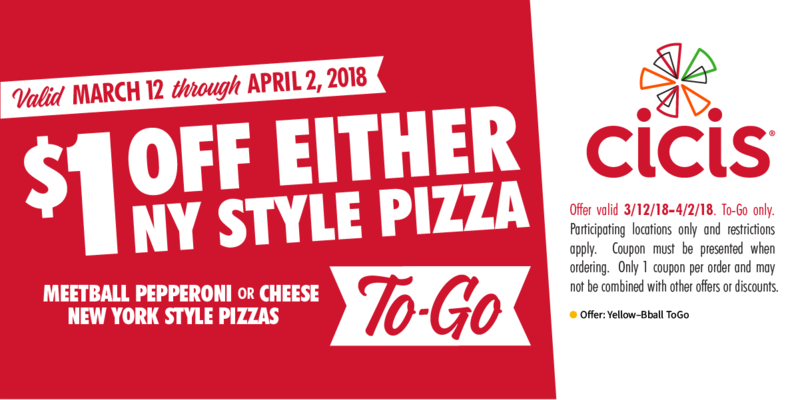 You can find a $1 off coupon off either New York-style pizza that's good from March 12 to April 2, 2018 on the Cicis website here.